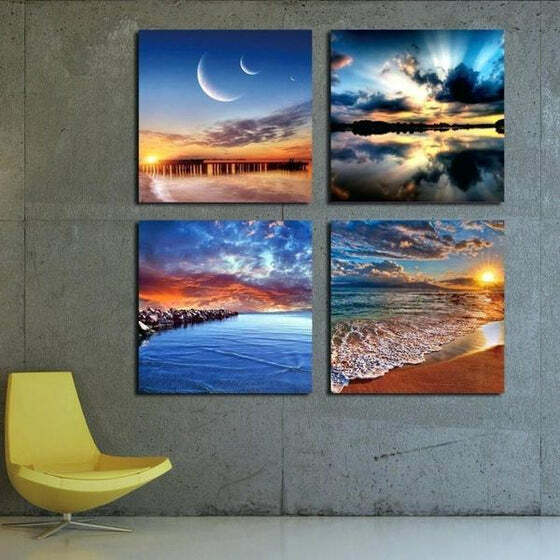 The breathtaking views of the 4 square panels Beach From Dusk To Dawn Canvas Art will take you in an instant to your dream vacations! Is there anything quite as blissful as an amble by the shore? 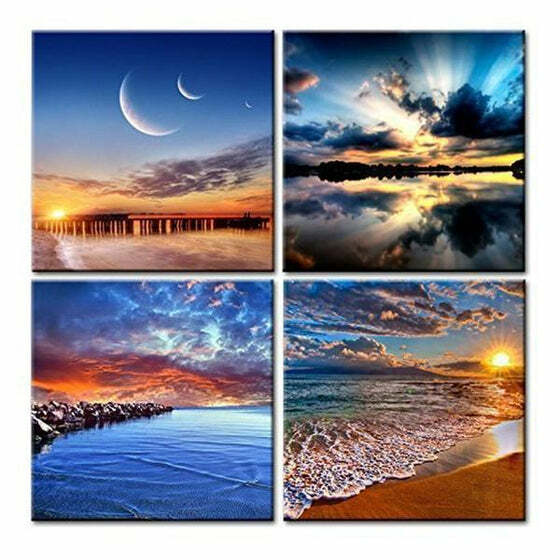 Get this nature-inspired canvas wall art to feel like you're walking through an airy womb of the sky and pacifying sound. The sea in this wall decor is a cerulean-blue gown and the ocean seems dipped in earthshine-gold. 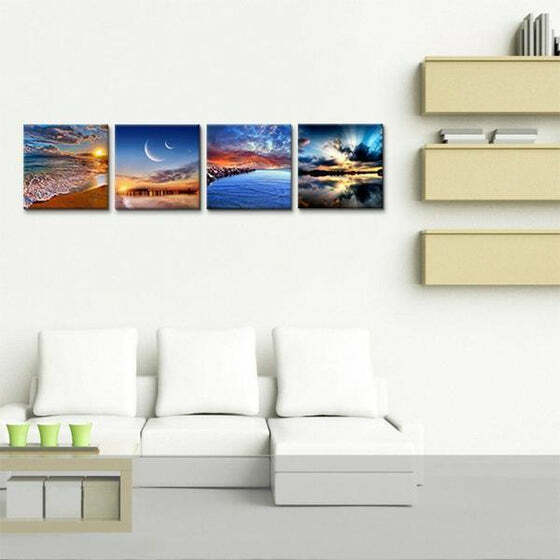 A landscape-themed canvas print that will definitely complete your day! Buy your very own art prints now to enjoy up to 50% discount and free shipping worldwide! Hurry! the same just like what in the gallery portrays! My children loves it and my mom too! definitely a 5-star rate! I recommend this company to all. This had been my 3rd time to order yet they never fail to amuse me always! 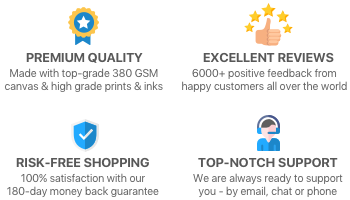 thanks for the discounts and free shipping! The delivery was a bit slow, good thing your customer support was really helpful and informative. I am fascinated with this design. Love the 4 different designs. I hang them in different places.